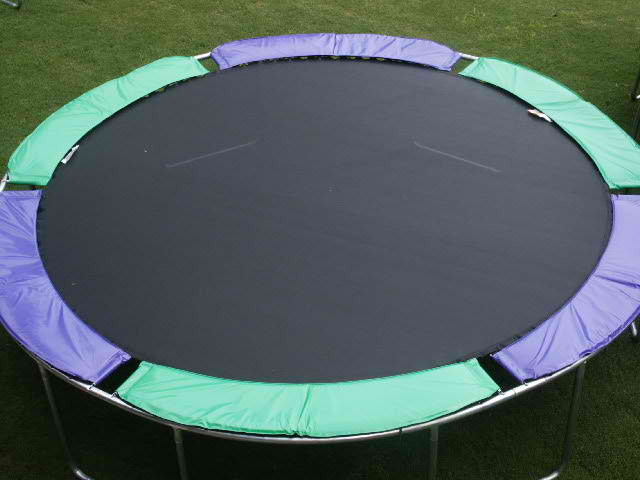 The Octagon Trampolines are special and should be considered by any parent with younger children. 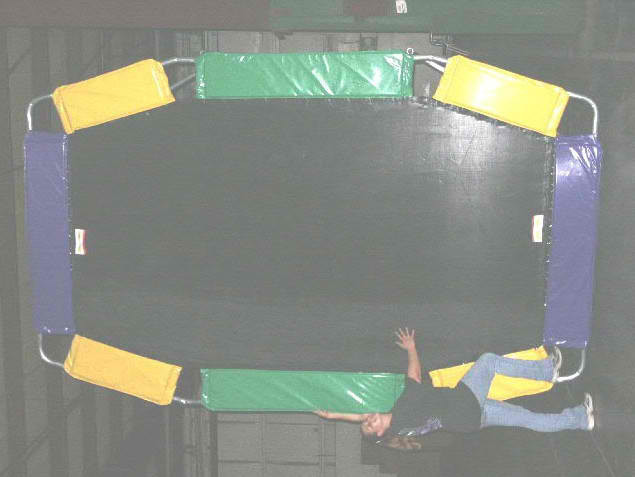 The cage is sewn directly into the trampoline, preventing serious injury and making sure all arms and legs stay inside the trampoline during play. This means that your children will have a safe and fun time playing on their 16ft Octagon trampoline and get some exercise out in the fresh air and is big enough for parents to play too. It is a great family toy for all ages and the perfect investment. Added bonus, you can choose your color or any combination of colors for you mat, making it a more personal gift your family is sure to love. 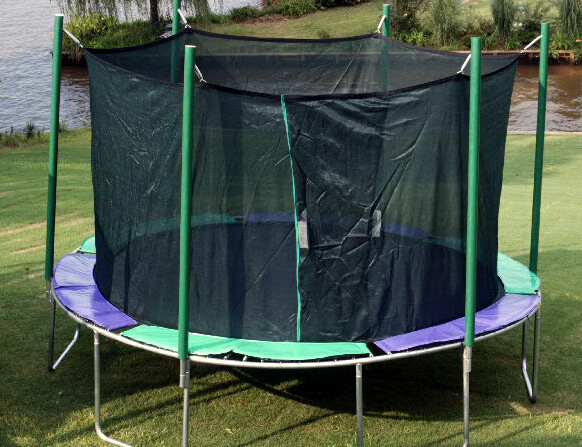 The safety cage is actually sewn directly to the trampoline mat surface, preventing any openings between the enclosure and the trampoline mat. The steel poles supporting the cage slip into sockets welded securely to the legs. The foam poles have a protective coating, providing additional protection. The tight weave of the cage keeps fingers, feet and other small objects from getting caught in the mesh. 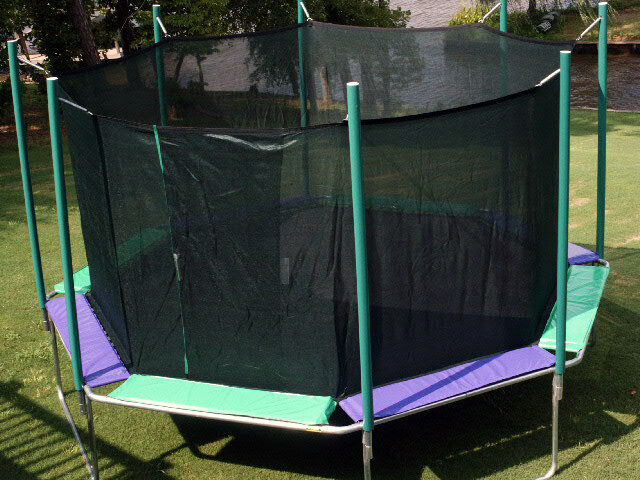 This is an extremely strong durable mesh (350lbs per square inch of tensile strength) made from the same polypropylene fibers as the jumping mat and is UV protected against color loss.